Has anyone ever seen this performance? I found these pictures on twitter. Is it a concert? an appearance on some show? I have never seen this performance, and I have no idea where it could be from. It was apparently aired on RTÉ One not that long ago. EDIT: So this aired on November 18, 2018 on a show called 'PAT SHORTT’S MUSIC FROM D’TELLY'. 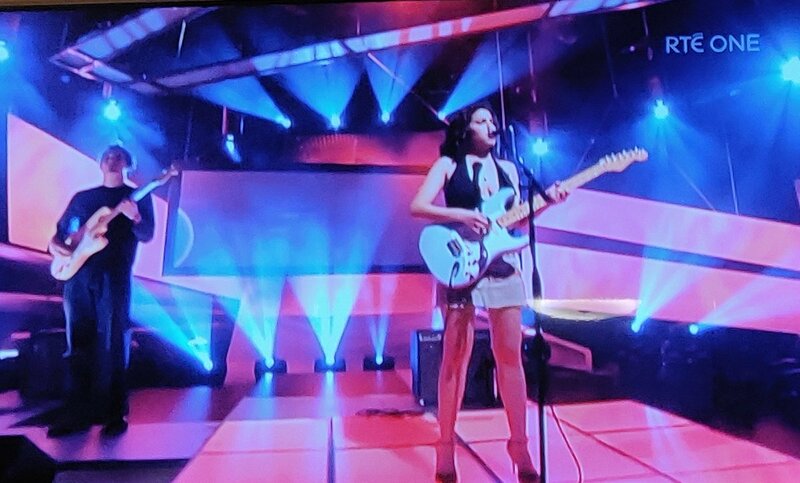 They mention the performance briefly here, "A 20 year old Amy Winehouse, on the occasion of her very first RTE appearance." Okay, so now that we know where it is from... where can we watch it? Is it really an unseen performance or has it been on the internet before? Yeah, I saw this a few days ago. It didn't look like they were playing it any more as the 'Days remaining' was blank. Just for reference, this episode was Series 3 - Episode 2 of 'Pat Shortt's Music from D'Telly'. I guess that we can only hope that it will surface online somewhere now.